I strive to keep Balthisar Tidy and Balthisar Tidy for Work in useful, functional condition, and your complaints, issues, problems, and technical difficulties won’t go unheard. Although you are free to email me any time, the best way to obtain technical support and file bug reports is on the github issues list for Balthisar Tidy. Balthisar Tidy is free and open source software and is hosted on github, as well. Go the the Gitub Issues Tracker now. Balthisar Tidy uses HTACG’s HTML Tidy libtidy to perform the actual Tidy’ing work, and issues relating to Tidy’ing per se will best be addressed on their issues tracker. The HTACG team members are usually quick to respond to bug reports and the Mac App Store release process is considerably slower. This may mean, for example, that the HTACG team have already made a fix that isn’t yet available in Balthisar Tidy. Please check the HTML Tidy version in the About… menu to see if the issue has been resolved before filing a new bug report. If there’s a fix to HTML Tidy and you just can’t wait for a new release of Balthisar Tidy to fix it, consider also following the instructions in this blog post. Balthisar Tidy uses the W3C Nu HTML Checker to perform document validation. There is both a built-in version, as well as the ability to use the W3C’s or another web service. If you experience document validation errors that you believe are incorrect, it’s best address on their issues tracker. Note that the W3C (and possibly other service providers) update their web service versions much faster than we can update the built-in version. Luckily you can tell Balthisar Tidy (in Preferences) to use one of these online services while awaiting a fix for the built-in version. Balthisar Tidy for Work has all of the renowned features of Balthisar Tidy and also gives you power user features making your automated workflows painless to implement. Balthisar Tidy for Work is available exclusively on the App Store. Balthisar Tidy from the App Store has all of the same great features as Balthisar Tidy from our website with the convenience of the App Store. Balthisar Tidy is absolutely free: no time limits, no nags, no guilt! Balthisar Tidy 4.1.0 (September 2018) offers significant updates. If you liked it before, you’re sure to love the new features it gives you. Balthisar Tidy downloaded from the website gives you the same great product as the Mac App Store. Balthisar Tidy is open source software. In order to get the latest and greatest version, we recommend that you visit Github. 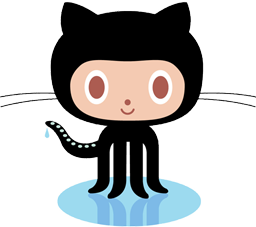 And of course, if you want to fork and contribute to the project, github is the perfect location to use as your code repository.